As small business owners we cannot afford to waste time, energy or resources. In fact, we need to leverage them on a daily basis. But, it’s easy and common to mired in daily tactical details creating unwanted and unintended results. Things pile up: problems fester unattended and unresolved issues get pushed back. This leads to increased friction on the business and profit leakage. But where can you go for a cost effective way to freely and confidentially discuss real day to day operations and management, solve problems and resolve issues without spending a fortune on enrollment or entrance fees in a national organization? Momentum Groups. 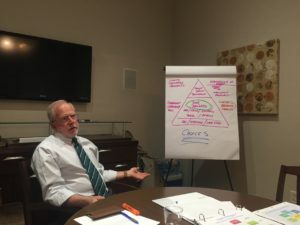 In a Momentum Group, I facilitate group meetings once per month that provide members a framework of structure, community, and expertise designed to move companies forward individually and collectively. Customized individual guidance is available upon request in between group meetings to provide added support. Each session has a momentum model teaching segment on best practices for leadership and operations. This forum has been a great source of ideas and jump starts my day every time we meet! The thing I have enjoyed most, is leaving the group with ideas to put into action immediately! I saw a change in some of my habits within the first eight weeks! From strategic to tactical thinking, there is always something new to explore. 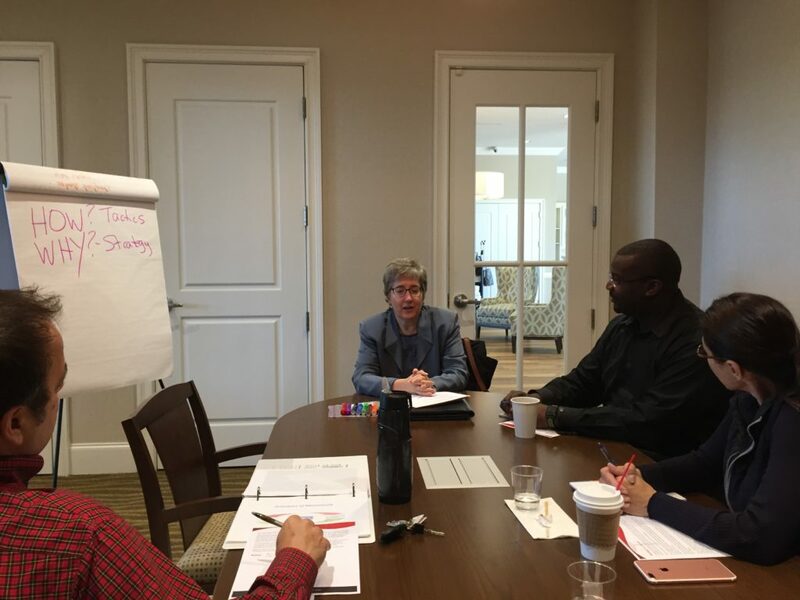 Momentum Groups are small business peer forums focusing on learning, discussing, and resolving daily operational and leadership business issues. Although, you may expand your professional network, it is not a networking or referral group. It is intended to help you be a better business leader and move your business forward gaining both personal and business momentum. The Momentum Groups challenge my thinking on every aspect of my business. The presentations and group discussions encourage me and hold me accountable to do the things that are difficult to do. We have guest speakers on subjects the group chooses. 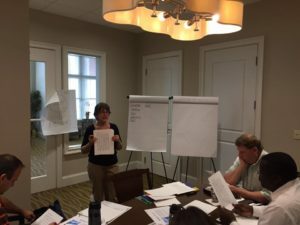 You can join a Momentum Group, a small forum group of 6 – 8 like minded business owners that delivers what its title implies: forward thinking and operational velocity leading to greater business growth and profitability. It is a safe, confidential group that focuses on identifying ideal models for profit and then defining actions to achieve desired results. The Momentum Groups provide insight and clarity into things that small business people should be doing. 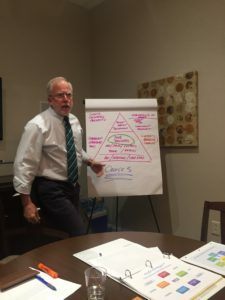 Kirk Walters’ thoughtful process get the business owner thinking in new ways. You look forward to that “Aha!” moment when the light bulb goes off in your brain during each session. I highly recommend this group to any small business professional that is struggling to grow their business.